On my first trip to the city, I was surprised to learn that it’s actually a city with a lot of international influence and is quite well known for its pastries and sweets. Because of that, my trip to Kobe largely becoming a food tour. Walking to Chinatown, we passed through the Motomachi Shopping Street, a covered arcade with a lot of history. Most cities in Japan have these types of arcades, usually with a lot of older shops and places to eat. 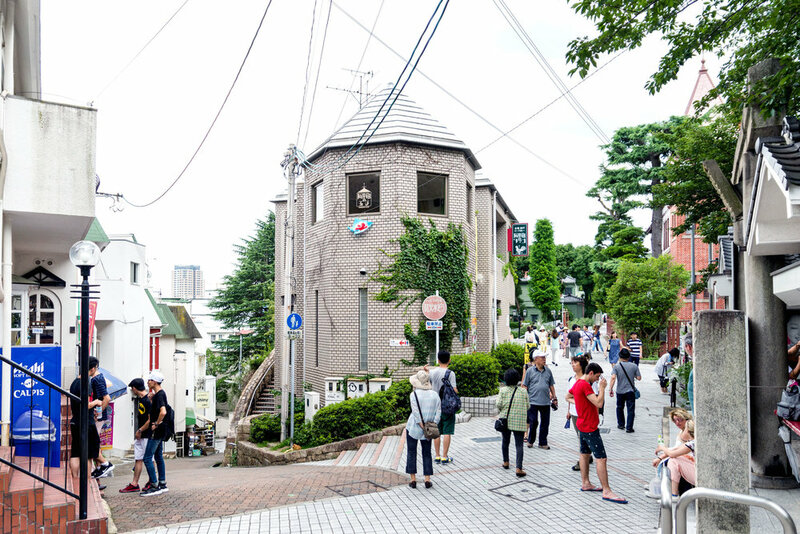 Motomachi apparently has over 20 shops with more than 100 years of history. We grabbed a bite at Tachibana (TripAdvisor), a highly reviewed shop known for its not-so-typical fluffy, egg-puff takoyaki. Their take on this common, Osaka-grown fast food snack of fried doughy balls with octopus inside was quite a treat, and while we didn't intend to, we got full off them. Kobe's Chinatown is on the small side but with a lot of little food spots. It's been known as Nankinmachi after the former Chinese capital ever since Chinese merchants settled in the area back in the day. 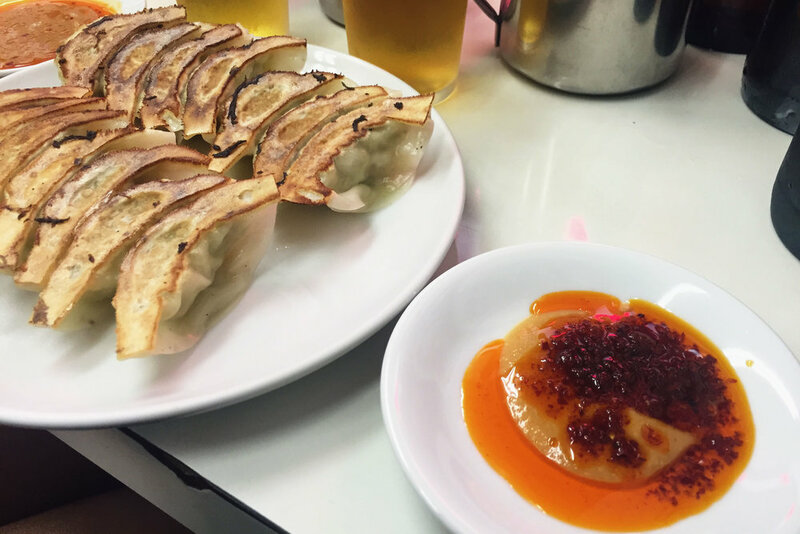 Roushouki has some delicious steamed dumplings, the type that drips some oily goodness. The area around Chinatown has a bunch of eateries and boutiques as well. The area of Kitano is up the hill and a little bit away from the central part of the city, at the foot of the mountainside. We walked up for about 20 minutes from Sannomiya, making stops along the way. The area is a mishmash of foreign influences, as a lot of merchants and diplomats settled here when the city opened up to international trade. Put on some walking shoes for this one, because the streets and walking paths up the hills can get steep and even narrow. There are some interesting sights though, English houses next to Dutch ones, next to Danish ones which are next to Japanese ones. What seemed like a half wedding hotel and half actual port area, the seaside of Kobe is quite nice at night. It's also quite lively. We walked down one evening, a bit of a longer walk from Sannomiya than Nankinmachi or Kitano, and explored the area. There were a few nice hotels there, largely geared to host big wedding ceremonies and parties. The main entertainment area is called Harborland, a place for shopping and eating. The central spot is umie Mosaic, you'll see the big "Mosaic" sight on top the building. It sits next to a ferris wheel and right along the waterfront. The highlight meal of the trip was, of course, Kobe beef. Ishida is centrally located near Sannomiya station, and has two floors where you sit in front of a skilled chef who prepares your meal on the teppan metal grill in front of you. For a meal of a few courses, the cost was about $300USD for two - a little pricy but it filled us up nicely. The beef was, as expected, nothing short of incredible. Beautifully and perfectly marbled, each bite of steak was incredibly savory and juicy. Gyoza (dumplings) are done a little bit differently in Kobe. In addition to the typical ingredients like vinegar and rayu chili oil that make up a lot of gyoza sauces in Japan, Kobe also likes to mix in miso. It's surprisingly good, too. Akaman is a tiny, cramped, old little hole-in-the-wall shop right across from Motomachi station. It's a little grungy and there was about 4 of us on a table probably meant for 1. As odd as it may be, that's a good sign of authenticity. If you're in the area, check out this place for a few little bites of deliciousness. Right in between Sannomiya and Motomachi stations is A la Campagne, a little cafe that's a great stop for some sweets and coffee. When you enter, there's a case showcasing all the different cakes and tarts available, and in typical Japanese fashion, they all look amazing. I had a peach tart which was not too sweet, pretty light and topped with some fresh fruits. If you're in the area, pop in for a bite. Located in a repurposed Neo-Gothic style church, Freundilieb Ikuta is known for its breads. It's about a 15 minute walk from Sannomiya station and is on the way to the Kitano area, making it a good place to get some sandwiches for lunch if you're on the way up. It's quite well known amongst Japanese so there can be quite a wait with people lining up along the staircase up to the main eating area. If you're in a rush, you can just go into the takeout area. They will ship it to your hotel as well, even if you'll be in another city in the country.